Situato proprio dietro Ponte Vecchio, nel cuore del quartiere dell’Oltrarno, questo appartamento godi di una posizione davvero ottimale, ed è stato inoltre, recentemente rinnovato. Il quartiere è molto caratteristico, rappresentando il cuore dell’attività artistica degli artigiani fiorentini che qui mantengono ancora le loro botteghe. Vi è inoltre un alto numero di locali, negozi, bar e ristoranti, fra i più frequentati della città, non solo dai turisti, ma anche dagli stessi fiorentini. L’appartamento si trova al primo piano del palazzo e si apre su un ampio ingresso ben arredato. La bella camera matrimoniale ha il proprio bagno con doccia, il soggiorno molto spazioso ha un divano letto matrimoniale e una zona pranzo direttamente collegata alla cucina completamente attrezzata e recentemente ristrutturata, così come il resto dell’appartamento. Infine l’ultima stanza è su due piani, con un bellissimo letto matrimoniale a pian terreno e di sopra un soppalco adibito a studio o secondo salottino. Accanto alla camera un secondo bagno con doccia. L’appartamente è estremamente silenzioso, perfettamente ristrutturato, e si trova in una posizione eccellente per godersi il centro di Firenze nella più totale comodità. We enjoyed our stay here. There was plenty of space for six people and the location was fantastic. The company were flexible when meeting us to check-in. It would have been nice for the city tax to have been included in the original price, rather than billed afterwards. But overall would recommend. The apartment was all that we had hoped and more. 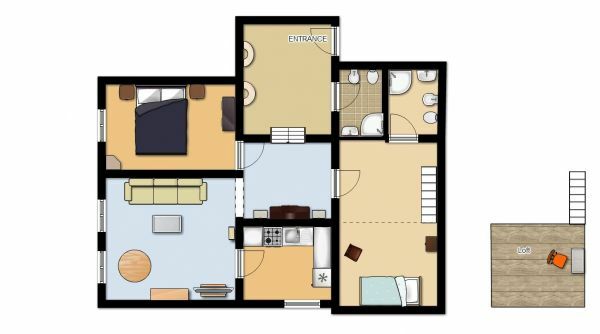 four adults comfortably stayed in this large apartment. The kitchen was great to cook in, with a gas stove and oven, good cooking gear, a full sized refrigerator. A nice dining room that was easy to use as a living room. The beds were comfortable. Both bathrooms were lovely. The place has an unusual layout that gave the impression of being a large home. It was clean and had good towels and bedding. The location was amazing - literally steps from most of the most amazing places in Florence. I would definitely stay there again. 20/01/2017 - GREAT LOCATION AND APARTMENT! I came to Florence for a few weeks with my family and we were looking for an apartment instead of a Hotel. We were recommended this and other options but we chose this one due to its elegant but homey feel and also thanks to other reviews. We truly enjoyed the stay and were really sad to leave at the end of the stay. The location is great, walking distance from all the major sights. There are also a few delicious restaurants and cafes close by. Can’t wait to come back! Highly recommended! I stayed here several times and didn't write a review because I selfishly wanted to keep this beautiful secret to myself. 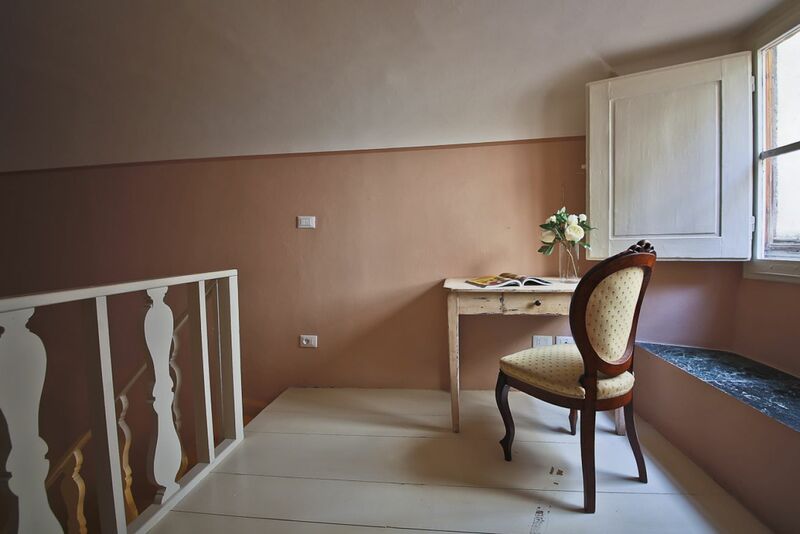 The apartment is a Florentine dream - beautiful decor, lovely space, and an IDEAL location. Right outside the door you will find Piazza della Passera, Florence's most adorable meeting area. It's in the cool, trendy, boutiquey Oltrarno, 200m or so from the Ponte Vecchio and Piazza Santo Spirito, but it's on a quiet side street that gets zero tourist traffic. The plaza is alive at night with music and local couples sipping aperitivos and enjoying the city's best gelato (Gelateria Della Passera). It is within a block of everything you might need in the grocery department (vegetable and fruit vendor and a charcuterie and bakery on the corner!!) 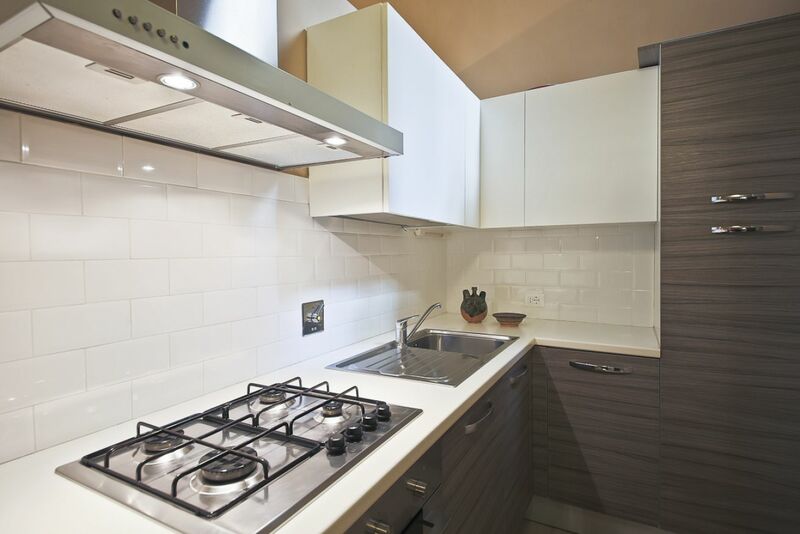 and cooking in the lovely, spacious kitchen is something I did nearly every night for the year I lived in this place. 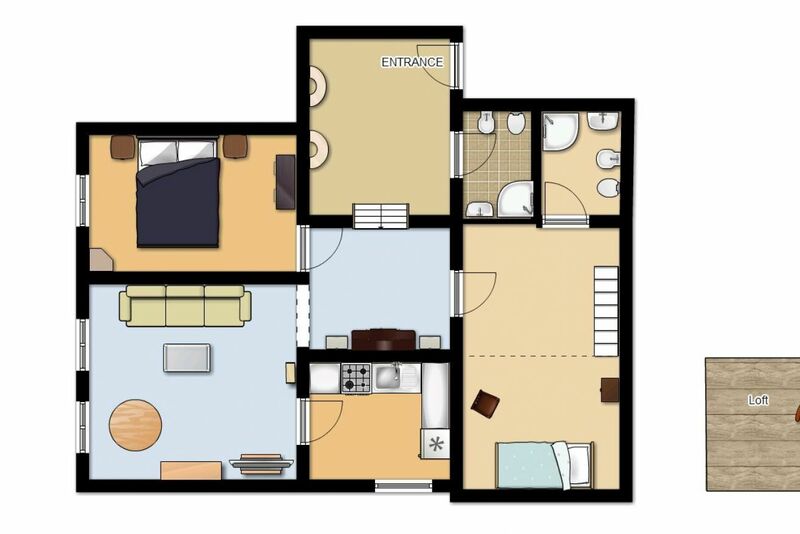 With two bedrooms, including one with a loft space, you can't ask for a better apartment for a single, a couple, or even a small family. If you want an authentic Florentine experience in the city's best location, stay here. You will come back over and over again and you will not tell your friends about it because some things are too precious to share widely!!! 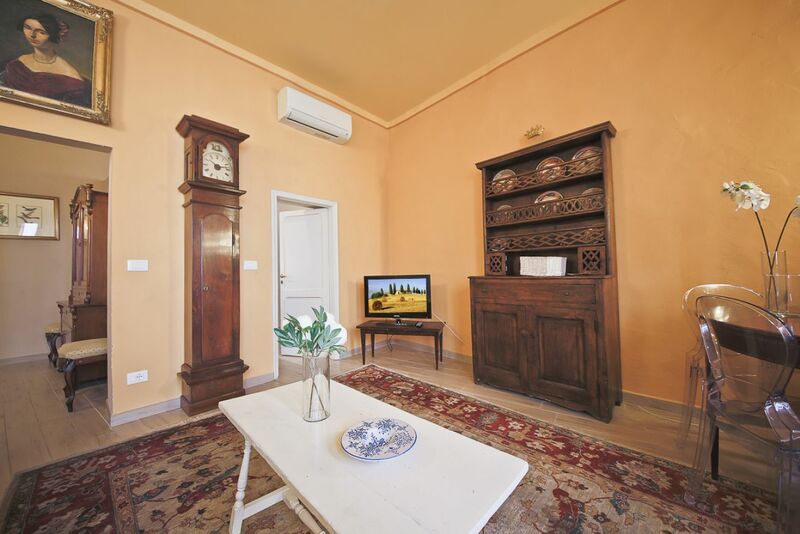 We found the apartment very attractive and very conveniently situated close to the sights of Florence. The area is very lively in day-time, but surprisingly quiet in the night - we slept very well. The apartment is well furnished, very clean and tidy and especially the kitchen is very well equipped and seems to be renovated recently. Altogether a very positive experience.